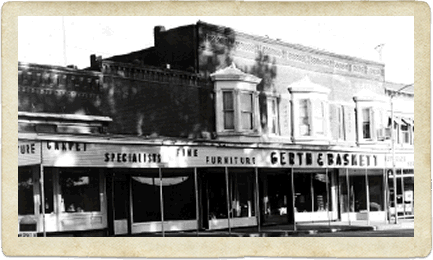 Gerth Funeral Service and Gerth & Baskett have had a long and interesting history. We have seen many changes over the past century, but here are some snap shots of the changes in the business. 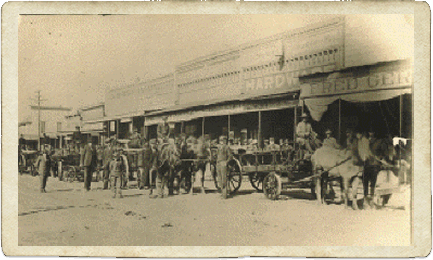 This is the original location of the store, across the street from the current funeral home. This building, on the west side of the street, burned in 1919. Next to Fred Gerth’s is the Crandall Hardware building. Fred Gerth was co-owner of this business before going out on his own. The former Wyaconda Senior Center now is in the old Crandall building, and the H&S diner now is in the buildings to the south. 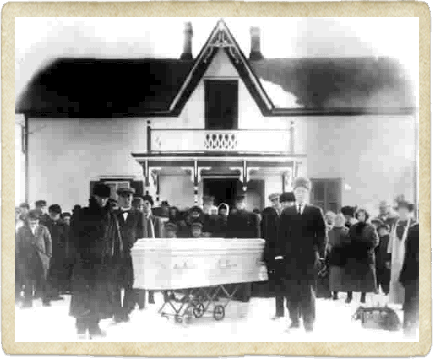 Gerth Funeral Service handled the arrangements for Ella Ewing, the world’s tallest woman. Ewing was a reported 8-4 1/2 in. tall and toured with the Ringling Brothers Circus. Click to read Ella Ewing’s incredible story. We opened this store in 1910 and closed it sometime in the 1950s. George Baskett and Fred Gerth are the two gentleman in shirts and ties standing in the doorway. Those are Cable Nelson pianos in the crates. 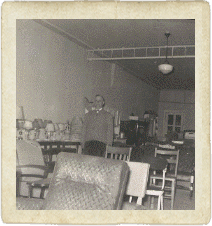 George Baskett at the Gerth & Baskett Furniture Store in Wyaconda in 1955. Mr. Baskett took over the day to day operation of this store in 1930 when Fred Gerth purchased the John Mulch and Son building and opened a store in Memphis. He managed this store until his death in 1969. This building was a furniture store until 1994, when it was remodeled to become a funeral home only. 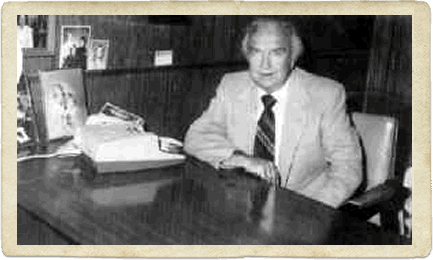 Fred Gerth Sr. purchased the former John Mulch and Sons store in Memphis in 1930. This store has been the anchor of the square in Memphis since its opening. After a remodeling in 1994, the building now contains a full line furniture store and a funeral home. It serves as the main office of the business. Frederick Gerth Jr. was the president of Gerth & Baskett and Gerth Funeral Service from the late 1940’s until his retirement in 1994. 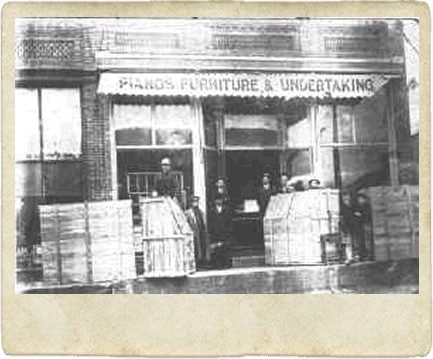 During his tenure, he created Triangle Furniture Stores, which included stores in Memphis, Wyaconda, Shelbina, Paris, and Quincy, IL. He also ran the Individual Mausoleum Corporation in Jamesport, MO.